This beautiful girl waits for a loving family to welcome her home. We are calling her Addilyn.The New Beginnings team met her in November 2016. She was born in October 2007. She appears much younger and smaller than her stated age. Addilyn enjoys painting pictures and coloring. She loves dolls and her caregivers told us she likes to dress them in different outfits. They also reported she enjoys singing and dancing. Addilyn has a bright smile and her personality warmed the room. She stayed with the Team longer than expected to play and draw. We all enjoyed her sweet spirit. Addilyn goes to school in her orphanage. She can read simple poems and is learning to write some numbers. She is also learning to draw pictures. Addilyn is able to run, jump and play with a ball. She could copy some simple shapes and drew a page of circles for the New Beginnings Team. 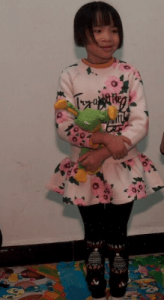 Addilyn was a happy girl and enjoyed play activities. Her smile lit up her face. 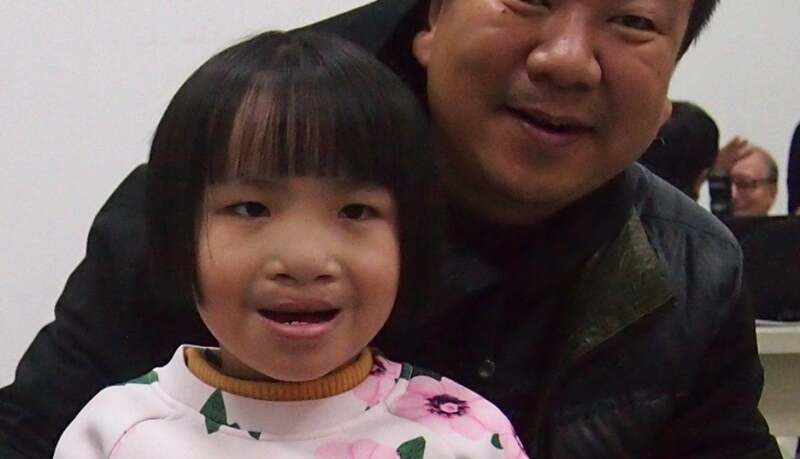 She could speak in full sentences when asked, but what she said was not always clear, due to her repaired cleft lip. Her palate has not been repaired yet. Addilyn is also developmentally delayed, but her biggest need is for the love and care of a family. Addilyn waits for her forever family. Could it be you? If you would like more information about Addilyn please contact Amanda@NewBeginningsAdoptions.org.